FAIL. That's what Day 10 was. A complete fail. I didn't get one word written down. Life stepped in and at some point I had to take care of the household and yesterday was it. Add on to a little boy under the weather, getting the yard and tools ready for the coming Minnesota Winter, Christmas lights hung, church, errands, inside chores, add a very pregnant wife and I am doubling up my duties. Writing just didn't happen, it wasn't until after 9pm when I finally got time to myself and by then I was just tired and wanted to relax. So now I am in the hole and need to play catch up quickly. I am shooting for as much as I can today, 3,000 words or more. My lunch hour here at the office will be writing, tonight I will be writing until I can't write no more. 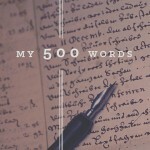 I read the blog posts, forums and other postings by others participating in the NaNoWriMo. I remember the days as a young, single (unmarried), college type with all the free time in the world. Throw in a vast career job, family, dog, house, small kids and see how much time you get on the weekends for side-efforts. Time to turn the page.... and get back to writing.